Randy Gwirtzman Appears on CNBC’s "Worldwide Exchange"
Except for Standard Deviation and Sharpe Ratio, the performance based-characteristics above were calculated relative to the Baron Discovery Fund's(BDFUX) benchmark Russell 2000 Growth Index. Performance statistics for additional periods will be provided on request. Source FactSet: SPAR. Mercury Systems, Inc. (MRCY) designs, manufactures, and markets high-performance, embedded, real-time digital signal and image processing systems and software. Its customers are tier-1 defense contractors worldwide. We believe Mercury is uniquely positioned to sell high-speed computing and storage subsystems to nearly all large U.S. defense contractors. Its products, which allow customers to more rapidly and cheaply develop their own solutions, are used to acquire sensor data, digitize and process the data, and then deliver it for analysis and interpretation. We think at least $10 billion of internal tier-1 business can be outsourced in addition to the current market for outsourced defense electronics of about $2 to $2.5 billion, providing Mercury with a multi-year growth opportunity. Myriad Genetics, Inc. (MYGN) operates labs in Utah and Ohio. Its labs perform sophisticated hereditary genetic tests used for cancer prediction and treatment, compatibility with anti-depressant drugs, and visibility into inheritable genetic anomalies. Myriad Genetics has superior tests in at least four categories. While it has lost market share in its breast and ovarian hereditary cancer testing business as a result of a 2013 court decision striking down its patents on the so-called BRCA genes, we believe Myriad Genetics will more than compensate with new products, including anti-depressant drug compatibility (2016 acquisition of Assurex) and inheritable genetic anomalies (2018 acquisition of Counsyl). We think high incremental profitability will result from leveraging its current sales force to sell new products. SiteOne Landscape Supply, Inc. (SITE) is the largest wholesale distributor of landscape supplies in the U.S. Through its network of 477 branches in 44 states, the company offers a broad selection of products such as irrigation supplies, herbicides, landscape accessories, and outdoor lighting. SiteOne is a market leader with exposure to residential and non-residential construction cycles. Organic growth of 7-8% in the past two years has accelerated significantly in 2018 to over 20%. With less than 10% of a large, fragmented market, the company has significant opportunities to consolidate through accretive deals. Its experienced management team has a strong M&A track record at larger public companies, and its stock is valued at a discount to other dominant distributors, reflecting room for growth, in our view. Yext, Inc. (YEXT) provides software that enables companies to control and manage their information as shown by public online listings on third-party maps, apps, search engines, digital assistants, vertical directories, and social networks. Yext is the leader in business information data management. It is led by a strong senior management team, most of whom are veterans of Salesforce. We believe Yext can ultimately grow its revenue by five times today’s levels, and be a key digital directory for businesses through its cloud-based services. As sales expand, we expect the company to dramatically increase both its profitability and cash flow. Intersect ENT's (XENT) Propel and Propel Mini implants are drug-eluting bioabsorbable scaffolds designed to deliver localized steroids in patients after a sinus surgery procedure (FESS). Its newly approved SINUVA implant is an in-office treatment for post-surgical recurrence of polyps. The company's Propel implants improve the outcomes of FESS by holding open the sinus passageways and reducing postoperative inflammation and scarring. The company's target market in the U.S. is $2 million patients, or a $3 billion total addressable market, which includes about 1.3 million Propel patients (worth $1.9 billion) and 635,000 SINUVA patients (worth $1.3 billion). Intersect's devices are used in one out of nine sinus surgeries, suggesting a large growth opportunity for the company. Sientra, Inc. (SIEN) is a medical device company. It is one of three companies that has FDA approval to market silicone gel breast implants in the United States. Through its acquisition of Miramar Labs in 2017, Sientra is expanding into additional aesthetics areas. Surgical breast implants are a $1.1 to $1.2 billion worldwide market, of which the U.S. market is roughly $650 million. There are only three U.S. companies making breast implants, and we think it is unlikely there will be more any time soon, as it takes years to gain FDA approval. Sientra has started to reestablish itself after a voluntary recall halted sales for six months from 2015 to 2016. Sientra is also entering a potential multi-billion dollar market for the control of sweat, odor, and hair in the underarm area. 2U, Inc. (TWOU) is a leading education technology company with cloud-based SaaS technology and services that enable not-for-profit colleges and universities to deliver high-quality online degree programs. 2U is benefiting from a rise in demand and has a huge pipeline of potential programs. As a result, we believe 2U should be able to sustain growth rates of over 30% during the next five years. We believe 2U also has several important competitive advantages that help distinguish it: first-mover advantage with established credibility among top-tier universities, marketing scale and expertise, willingness to invest meaningful risk capital in each program, and long-term contracts with penalties for non-renewal. 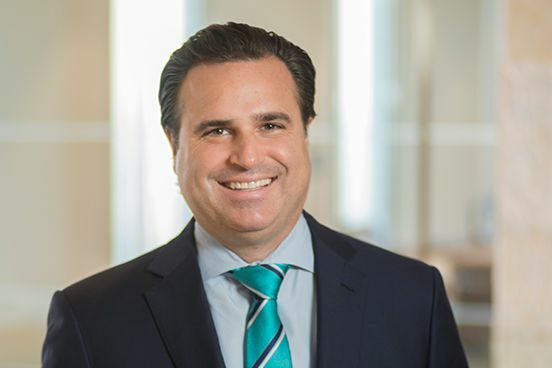 Randy Gwirtzman Appears on CNBC's "Squawk Box"
On October 12, Randy Gwirtzman, co-portfolio manager of Baron Discovery Fund, appeared on CNBC’s “Squawk Box” program to discuss his thoughts on the current investment landscape. To view the full segment, visit www.cnbc.com. In the September 10 edition of "Best Mutual Funds Special Report 2018," Investor's Business Daily highlighted Baron Discovery Fund, quoting Randy Gwirtzman and Laird Bieger and discussing some of their stock picks. To read the full article, visit www.investors.com. 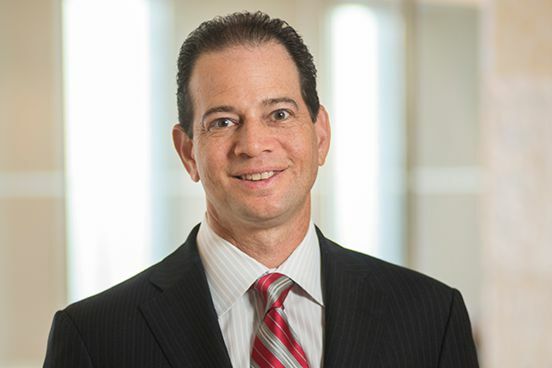 On August 20, 2018, Baron Discovery Fund Portfolio Manager Randy Gwirtzman appeared on CNBC’s “Worldwide Exchange” program featuring "America's top-performing fund managers." Gwirtzman discussed his investment strategy, several of Baron Discovery Fund’s holdings, and his outlook on capital markets. View the full interview, "Small-cap Fund Manager Posting Big Returns,” at www.cnbc.com. In the May 17th, 2018 issue of The Wall Street Journal, Randy Gwirtzman, co-portfolio manager of Baron Discovery Fund, offered his thoughts on the current investment environment as it relates to the rally in small cap stocks. You can read the full article, "Small Stocks Speed Past Large Caps," at www.wsj.com. (Subscription required to access). Randy Gwirtzman on CNBC's "Squawk Box"
Randy Gwirtzman, co-portfolio manager of Baron Discovery Fund, appeared on the November 2, 2017 segment of CNBC’s “Squawk Box” program to discuss some of his top stock picks, including a high-end robotics company. Watch a clip from the segment at www.cnbc.com. Randy Gwirtzman, co-portfolio manager of Baron Discovery Fund, appeared on the October 5, 2017 segment of CNBC’s “Squawk Box” program in a discussion on how he finds opportunities in the markets as stocks reach record levels. View a clip from the segment on www.cnbc.com. Randy Gwirtzman, co-portfolio manager of Baron Discovery Fund, appeared on the August 28, 2017 segment of CNBC's "Squawk Box" program in a discussion on the likely impact of Hurricane Harvey on gasoline and oil prices. View a clip from the segment at www.cnbc.com. A Reuters article on August 7, 2017 quoted Baron Discovery Fund Portfolio Manager Laird Bieger on how the dwindling numbers of sell-side researchers open the door to research-driven, actively managed firms to discover overlooked and potentially undervalued stocks. Bieger gave Impinj Inc (PI), a maker of radio frequency identification devices with a $1 billion market cap, as an example. He met with company management when there were no sell-side analysts covering the firm, and invested in it. Five analysts now cover the company, whose shares are up significantly year-to-date. Read the article ("Funds target 'unknown' stocks as Wall Street cuts analyst jobs," by David Randall) at www.reuters.com. Portfolio holdings may change over time. Current and future portfolio holdings are subject to risk.